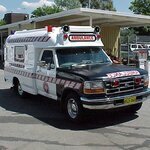 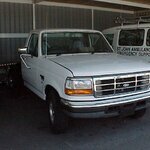 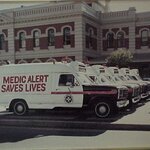 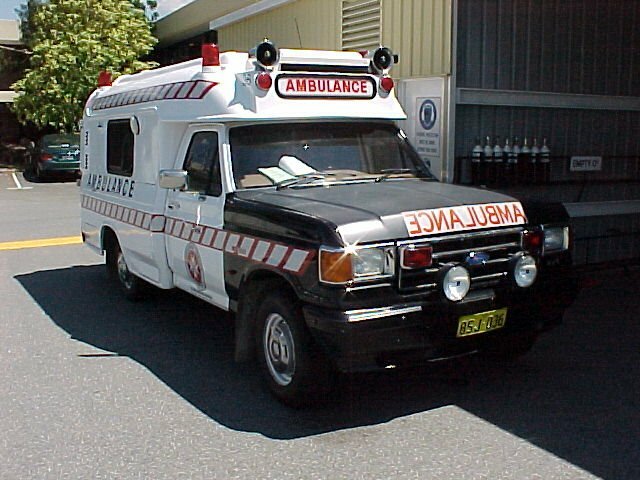 St. Johns Ambulance WA currently use F250's with 7.3L turbo diesel engines. 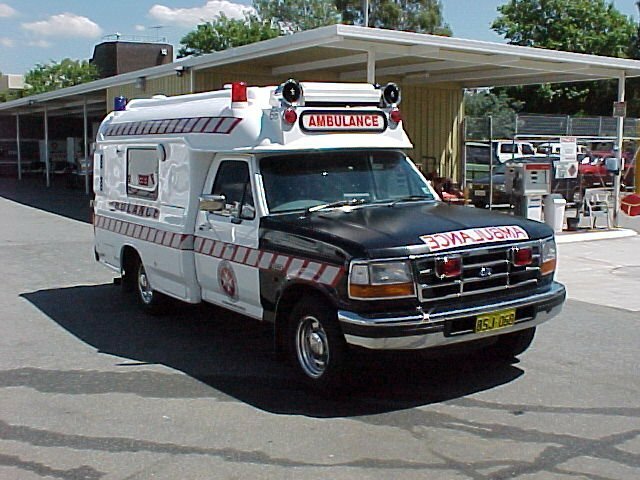 Unfortunately St. John's are looking at alternatives to the F-Series due to increased costs, it costs over $100,000 to import, convert and re-fit an F-Series truck into an Ambulance. 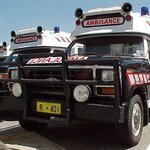 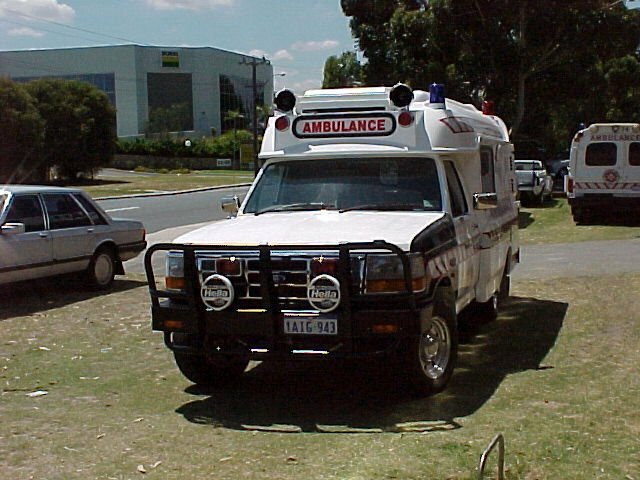 The F-Series has served St. John's Ambulance well for over 20 years now and it will be a shame to see them go. 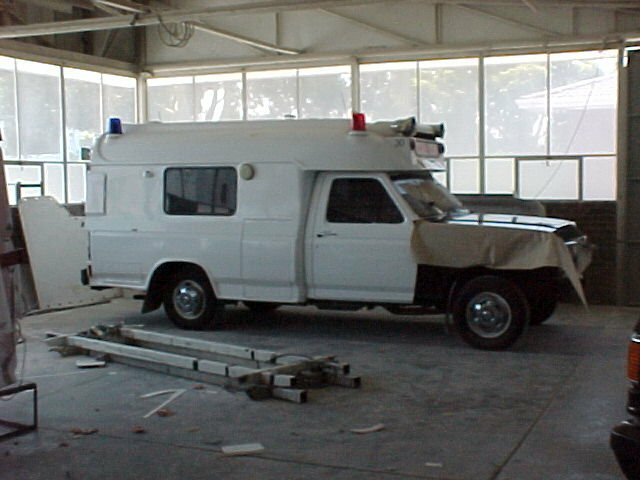 They haven't made a decision yet and there are other vehicles, such as the E-Series van based on the same chassis, that may offer a viable but equally smart alternative. 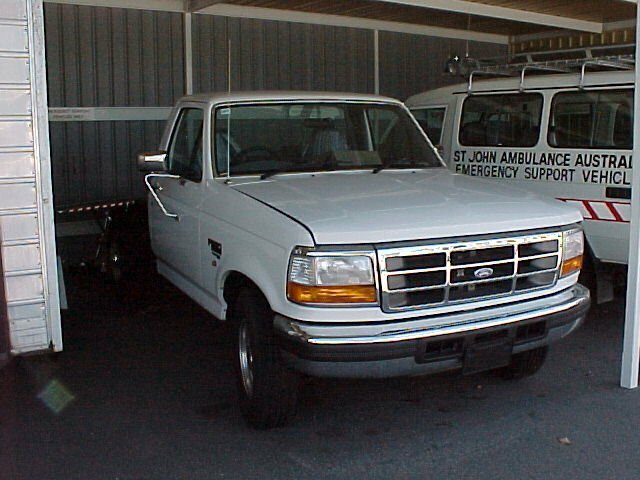 I refuse to be taken to hospital in anything less than an F-Series. 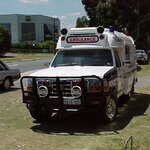 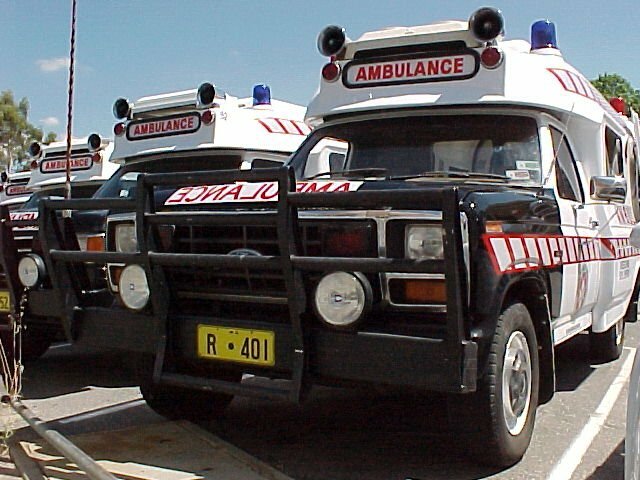 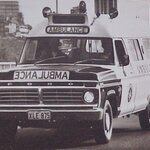 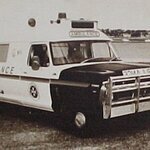 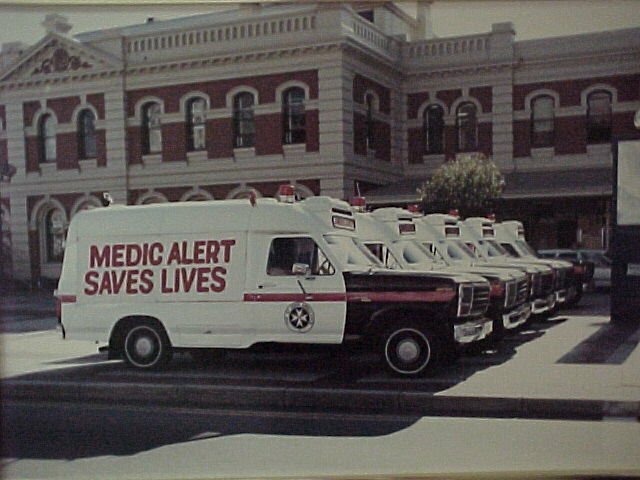 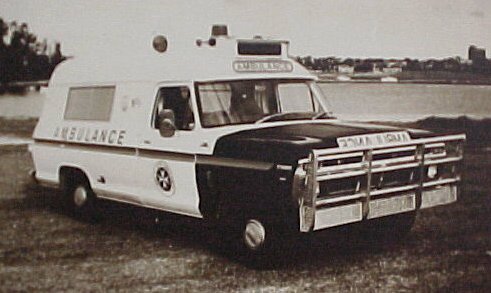 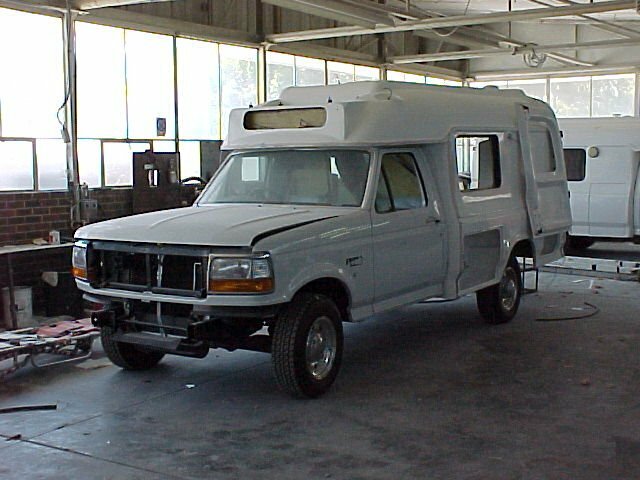 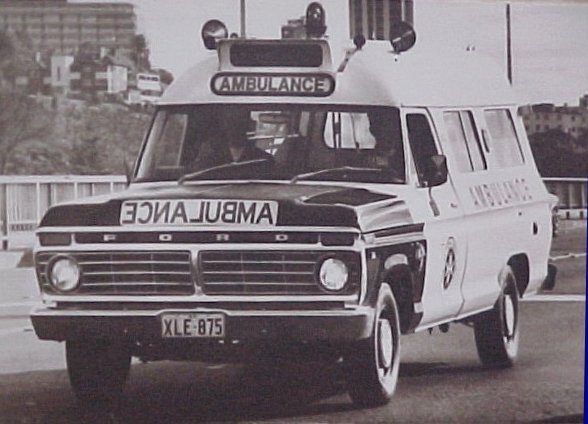 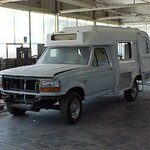 The following pictures show various ambulances including the 1978 F100 and 1979 F100 4x4, a new ambulance being constucted and some examples of current models in use. 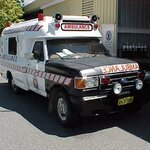 Thanks to Stan Bacon and Alan Wright of St. John's Ambulance for all their assistance. 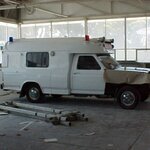 Thanks also to Paull & Warner (Ambulance body builders) for allowing us to photograph their workshop.